PARIS/BELGRADE – Serbia will not become a member of the European Union in 2025 – that is the message of nine out of twelve French parties’ candidates of the upcoming European elections. Tighter election rhetoric, but also the conformation that France will not look kindly towards EU enlargement in future, is a message that arrived from Paris. 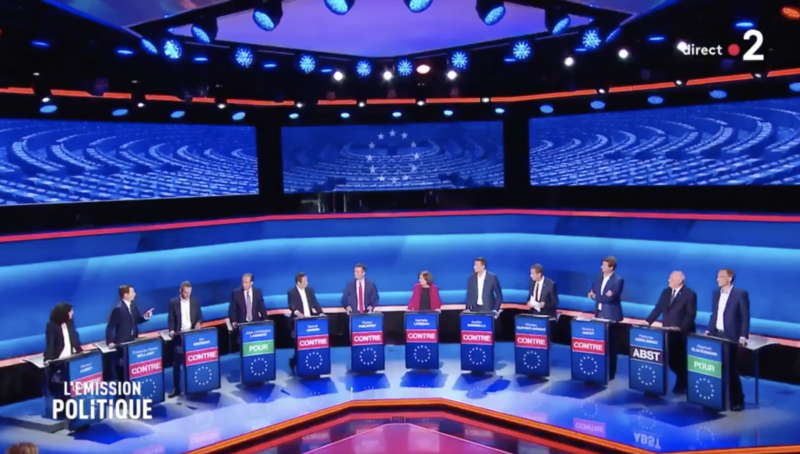 Serbian accession to the EU – for or against, that was the question for the 12 MEP candidates in a television debate „L’Émission politique“ on the French state television who represented their programs to citizens for the European elections in May. Nine red buttons, two green and one reserved, that was a result which should turn on alarm signals in Belgrade. Only two candidates who said that Serbia will join in EU until 2025, are the candidate of the opposition Socialist Party and candidate of the UDI centrist party. Admittedly, this result should not be a surprise since recently the French started speaking loudly that Serbia and Western Balkans will not join the EU so quickly and so easily. Among those who in the debate declared against Serbia in the EU by 2025 was a candidate of the President Emmanuel Macron’s ruling party and a former Minister of European affairs Nathalie Loiseau who visited Belgrade in March. 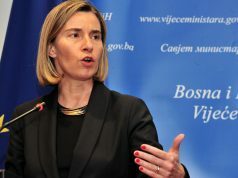 On that occasion she conveyed similar message to President Vučić. “The current state of the European Union does not allow for new accession in satisfactory conditions – both for the EU itself and for the new states that would join it, said Loiseau in an interview with Politika, adding that Serbia made great progress on its path, but France as a true friend is obliged to tell the truth. This truth is a part of tougher pre-election rhetoric, thinks Srđan Cvijić, a political analyst at Open Society Foundation and member of the Balkans in Europe Policy Advisory Grup (BiEPAG). “The French attitude is a result of the fact that the Balkans for France is not a priority in the geopolitical context, in the internal political plan it is not worth the risk. 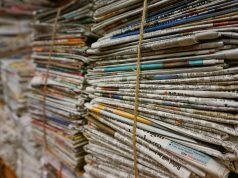 Public opinion surveys showed that French citizens do not generally support enlargement, and accordingly, politicians do not want to swim upstream”, says Cvijić for EWB. In that regards the last research public opinion realized by British agency “YouGov”, conducted in seven European countries (Germany, France, Great Britain, Sweden, Norway, Finland and Denmark), showed that France is the most sceptic regard future enlargement. As many as 52% respondents from France do not want Serbia to join the European Union. Undeveloped democracy, widespread corruption and the perception that new members “are seizing” jobs for the French, are just some of the reasons for this attitude of the French public opinion, explains Cvijić, adding that this will certainly not help Serbia’s progress towards the EU. However, Serbia is not the only country to have only a stick from the policy of “stick and carrot”. 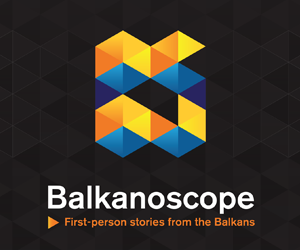 Namely, the European Commission made a promise to North Macedonia and the Government of Zoran Zaev that, if it resolves the dispute over the name of the country with Greece, it will, as a reward, get the opening of accession negotiatios. 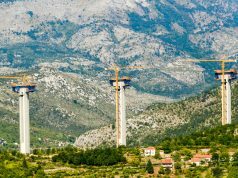 But after the solution about the name was found, the European Union and France began to warn North Macedonia that the negotiations would not begin as promised earlier. 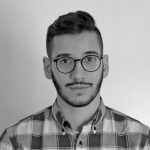 The inconsistency and unwillingness of the EU to fulfill its promise in the case of Northern Macedonia, according to the opinion of Loic Tregoures, lecturer at the Catholic Institute of Paris, can easily influence the Kosovo issue. “If France keeps blocking the opening of negotiations with North Macedonia after Zaev managed to deal with the name issue, I don’t see any reason why president Vučić would believe that recognizing Kosovo will grant him special treatment. Anyhow, it is absolutely not in his interest to solve the Kosovo issue on the short term, but rather towards the end of the integration process“, thinks Tregoures. He adds that people and governments in the region are not stupid and see the real circumstances of future enlargement. “Local political leaders might think that playing tensions may pay off more than working kindly in order to attract attention and get something“, warns Tregoures. However, it seems that Balkan politicians have decided to be obedient or disobedient pupils, the carrot will remain hidden in a European backpack in the upcoming period. Nine “no” for Serbia in the EU came as a cold but not a sudden shower. In fact, it confirmed the thing that no one in the Balkans didn’t want to hear – the enlargement of the Union is unpopular among EU citizens, and none of European politicians is ready to become the victim of this political risk.